Probably the most expensive, and most high quality it is preferred, because it brings beauty and warmth to your home. If you take good care, they can last a lifetime. So I think the investment is great. They come in almost any type of wood like Oak, Maple, Hickory, Pine etc. It is getting more popular everyday, because it is cheap and environmental friendly. Bamboo grows very fast so there is no risk of reducing the flora. To be precise, bamboo is not actually wood, but grass. It is a wonderful alternative to hardwood, because it still possesses the beauty. Also cheap and probably the easiest to maintain of all. Most are resistant to liquid, scratches even burns. This type of flooring is also very durable and stain-resistant, thanks to the coating and finish. Laminate floor is ideal if you have children and best to be placed in high traffic areas. Most people confuse it for vinyl. I personally can’t understand why, since they have nothing in common. It is easy to install and Eco-friendly, because of the materials used in its manufacturing. Linoleum vary in color and thickness, depending on your needs. It comes ready for installing. The process itself is quite easy. It is not actually hard floor, because the material is flexible, but it is assigned to this category. I’ll just start with the advantages, water and stain proof, looking good. The main disadvantage is the gloss cover is easily scratched. If you decide to buy tiles for flooring, make sure you have anti-slip ones. If you want to feel like an aristocrat, this is the flooring for you. There are so many different types and colours you can build entire landscape right on your floor. You can install them on your own. Be careful though, because when cleaning, especially if you use water marble floor becomes as slippery as ice-skating rink. The main disadvantage is marble is always cold. In winter you’ll have to put carpets or rugs over it. Your perfect choice for the kitchen and bathroom. Cheap and easy to install, vinyl comes in many different patterns. It is an affordable alternative to ceramic tiles, having the same look. This is your salvation if you have kids. Rubber flooring is ideal for the children’s room. They are very easy to maintain. All you need to do is regular washing and sweeping. Give your imagination freedom and experiment. Rubber flooring comes in so many colors and designs it will blow your mind. For me it is the strangest flooring possible, although people use it for many years. It is friendly to the environment, because the material comes from trees, by pealing the top layer every nine years. The disadvantage is it absorbs all stains. You can choose the coloration and size. Sorry I can’t give you any information, but I’m not quite familiar with it. 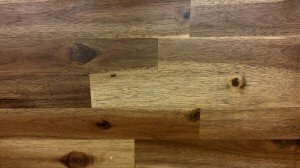 What To Keep in Mind When You Choose Hard Flooring? First of all decide where you want to put it. Keep in mind if the area will endure high traffic and stains. Are you going to put rugs and carpets over it or not? How much are you willing to pay? How much are you willing to invest in cleaning and polishing products? Most of the floors are quite easy to maintain and keeping them clean doesn’t take a lot of time. You’ll need to regularly sweep the flooring with a soft dry mop. Clean it with detergent or plane water once a week. And one a month to perform a deep clean. You should ask if the flooring is tolerant to liquid and which cleaning products to use. Moreover if you put rugs and doormats at the entrance of each room you’ll eliminate most of the grime. All rugs have the ability to absorb dust and dirt. The flaw is you won’t be able to completely clean it. But don’t worry there are plenty of carpet cleaning tips. To ensure your hard flooring lasts a lifetime you’ll have to seek professional help every once in a while. Over time the top layer peals off and the flooring has to be refinished. It will be best to find a company, which offers package services. Author: Magic Carpet Cleaning is your best choice for professional London carpet cleaning services. We hope that our article will make your life a little bit easier.